Allan is the principal dentist here at Devonshire Dental Care. 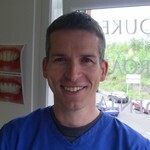 Allan qualified from Dundee Dental School in 2000. He achieved membership of The Royal College of Surgeons of Edinburgh in 2003 and in 2007 completed a 3 year Diploma in Postgraduate Dental Studies in Prosthetics, Anxiety and Periodontics at Bristol University. He has 6 years experience injecting wrinkle reduction treatments and facial fillers. He has completed the Scottish Dental Implant Year Course and also a two year postgraduate course in straight wire orthodontics. He is an accredited practitioner for Inman Aligner, Secret Smile Lingual Braces and 6 Months Smiles cosmetic braces. Allan can offer his patients an orthodontic and cosmetic view on treatment options, thus allowing patients to chose the treatment they feel is best suited to their needs. 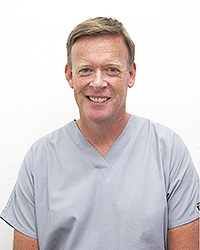 Having qualified from the University of Glasgow in 1983 Mr Regan has worked continuously in General Dental Practice and has developed interests in cosmetic and implant based Dentistry. He has completed extensive post graduate study including facial aesthetics (University of Dundee), implant courses with the world renowned Branemark Systems and a 2 year course in orthodontics. In 1995 Mr Regan was asked to act as a Dental Consultant to Marks and Spencer Ltd. Mr Regan was also asked to become a visiting surgeon at the Glasgow Dental Hospital. With over 25 years experience in dentistry, Mr Regan has the skills and knowledge to achieve excellent results. John qualified in 1992 from Glasgow University Dental Hospital and is the principal dentist at our Dukes road practice in Burnside.Over his years in practice, he has developed interests in cosmetic dentistry, orthodontics and implant based dentistry. In order to deliver a comprehensive range of orthodontic options, John has trained and certified in several major orthodontic brace systems including invisalign, Six month smiles. He has also completed 2 years of postgraduate training in conventional orthodontics and one year of postgraduate training in dental implantology. Furthermore, John has five years of experience with wrinkle reduction treatments including Botox and dermal fillers. With such comprehensive postgraduate education and over 20 years clinical experience, he is able to provide his patients with the best treatment options. 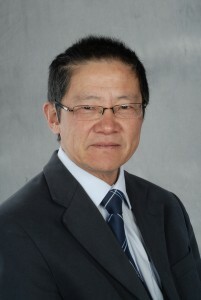 Dr Paul Tran is a Specialist in Special Care Dentistry at Gartnavel Hospital in Glasgow. He is also a Specialist Oral surgeon who has a degree in Medicine, Dentistry and is a Fellow of the Royal College of Surgeons. He has worked in several maxillofacial centres in the UK and Northern Ireland. 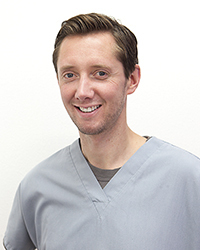 Paul has a gentle caring manner and is very good at making patients feel at ease. Paul uses his expertise to treat the more advanced implant cases at the practice. 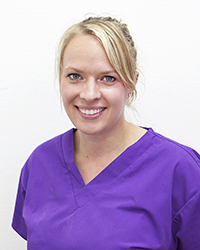 Charlotte is our ever smiling practice manager here at Devonshire Dental Care. She will greet you when you call and can answer many questions about the treatments we offer, including pricing and payment plans. She will arrange your consultation with one of our dentists. 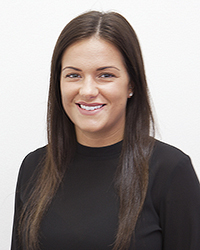 Ciara is a greatly respected and popular member of our team and has created her own patient goodwill due to her thorough and enthusiastic approach to dental hygiene matters. Her treatments involve general dental hygiene, preventative care and record taking for orthodontic patients (radiographs, photographs and impressions). 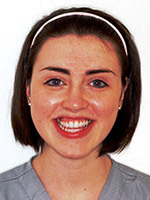 She qualified in Dublin in 2008 and has been working here at Devonshire for almost three years now. 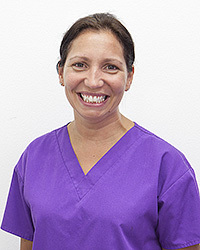 Linda qualified from The Defence Dental Services School in 1999 and has since worked worldwide in dental practices and has come back to roost in Glasgow. She is extremely gentle in her approach and patients can relax knowing they will have a thorough treatment without discomfort. Her treatments involve general dental hygiene and advance periodontal procedures. 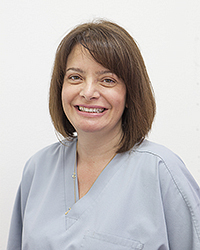 Her encouragement and enthusiasm ensure patients are well educated and motivated in caring for their dental health. Sarah qualified in 2010, during her time in the Royal Navy, achieving the Gold Medal by the Royal College of Surgeons Edinburgh for ‘top academic performance’. Since leaving the armed forces Sarah has focused on improving the treatment she provides with ongoing post graduate study. Since joining the team in April 2017 Sarah has provided general dental hygiene services and periodontal therapy for gum disease. Sarah enjoys achieving the best aesthetic results with the minimum of discomfort to patients. 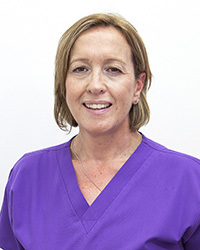 Sarah has extensive experience of working with anxious patients, providing gentle yet thorough treatment for our patients with sensitive teeth. Her encouragement and enthusiasm ensure patients are well educated and motivated in caring for their dental health.